Building QUALITY homes in Sylvan Lake and surrounding areas of central Alberta. We have built a great reputation as a quality new home builder in Sylvan Lake, Alberta who cares about you. Our goal is to create a pleasant experience and work hand in hand with our new home buyers to provide the best customer service. We build a home where every detail is meticulously crafted and each enhancement selected is seamlessly added to create a customized home that is unique. We invite you to experience the pride that comes with owning an EDGE Home, and QUALITY that takes you further. 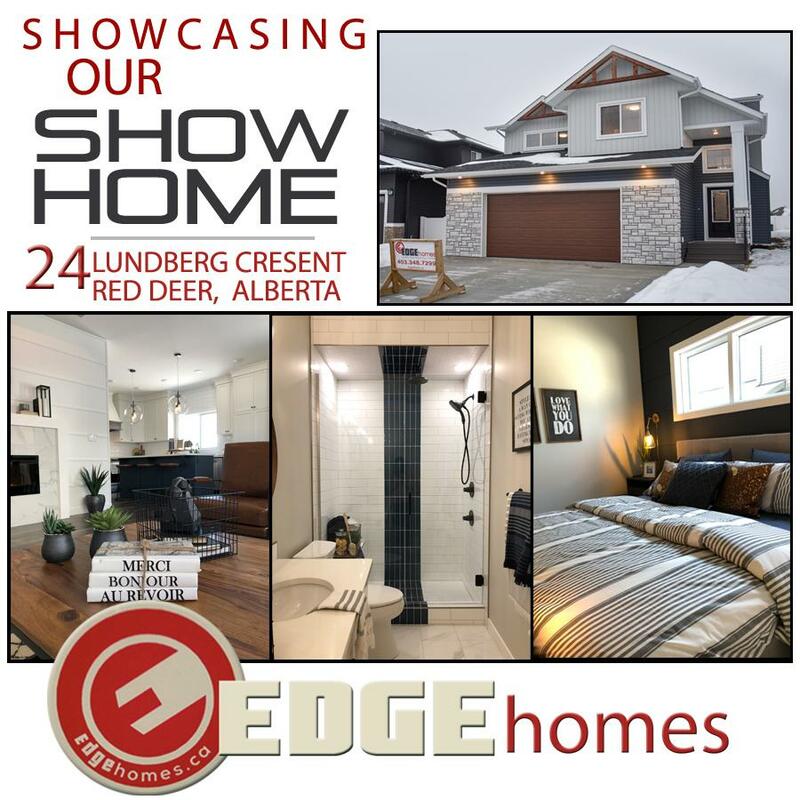 To view our stunning new ShowHome visit us at 24 Lundberg Cres, Red Deer Alberta in the Laredo Subdivision. Contact us for personal viewing or showhome hours. We know how big a step it is to move forward with a new home build....move forward confidently. The BBB has stood for trust in the marketplace for 100 years. Businesses who choose to run great, trustworthy operations, meet the requirements of BBB Accreditations. EDGEhomes strives to not only meet those requirements, but to exceed them in all areas of business conduct. We value our clients; and they value our service. "We couldn’t have asked for a better builder, Shawn is very accommodating and we received everything we wanted plus more! Always kept us up to date on what was going on and went out of his way to make sure every detail was perfect. He even showed up on moving day to make sure everything was in place. We receive nothing but compliments when we show our friends and family our new home. We would definitely recommend building your dream home with Edgehomes, we couldn’t be more pleased with the outcome." Building with Edgehomes was a hassle-free experience. Shawn is very proud of his work and goes above and beyond to meet client expectations. The quality of products Edge Homes uses is awesome. We constantly get compliments from people, stating everything goes together so well and that it was so well thought out. The house was built in the time frame specified. We absolutely love our new home! "We had a vision for our new home and rather than push their own ideas, Shawn and EDGEhomes went above and beyond to bring our vision to life, all the while conscious of our budget. They really looked after us every step of the way and were nothing but accommodating of our wishes at each phase of the build. Building with EDGEhomes was an amazing experience from conception to completion. On turn over day, Shawn and Karissa were even there to hand us the keys along with a beautiful house warming gift. We love our new home and give EDGEhomes the highest of recommendations.